In the past year, science has shown there's a link between gut bacteria and food allergies. Cathryn Nagler of the University of Chicago showed that a particular gut bacteria called Clostridia blocked peanut allergies in mice. Here is an article describing her study. Nagler's team suggested that increasing our gut bacteria with probiotics may help or even prevent food allergies in people. One way to do this, according the Chris Kresser, is to eat cultured foods like sauerkraut. It turns out sauerkraut is not only allergen-free but also delicious. Most of the sauerkraut you can find in the supermarket is not 'alive' with beneficial bacteria, and the brands that are tend to be pretty expensive. 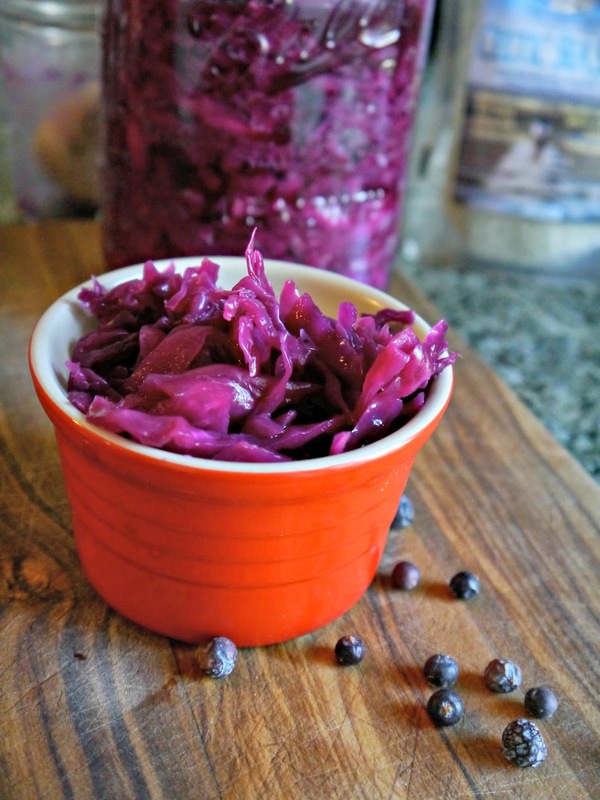 It turns out that making your own sauerkraut is not only cheap but also quite easy! This time of year, canned pumpkin seems to be abundant. One of my kids' favorite pumpkin baked goods is pumpkin bread. I prefer to bake sweetbread in the form of muffins, mainly to keep me from eating half of the loaf, one slice at a time. 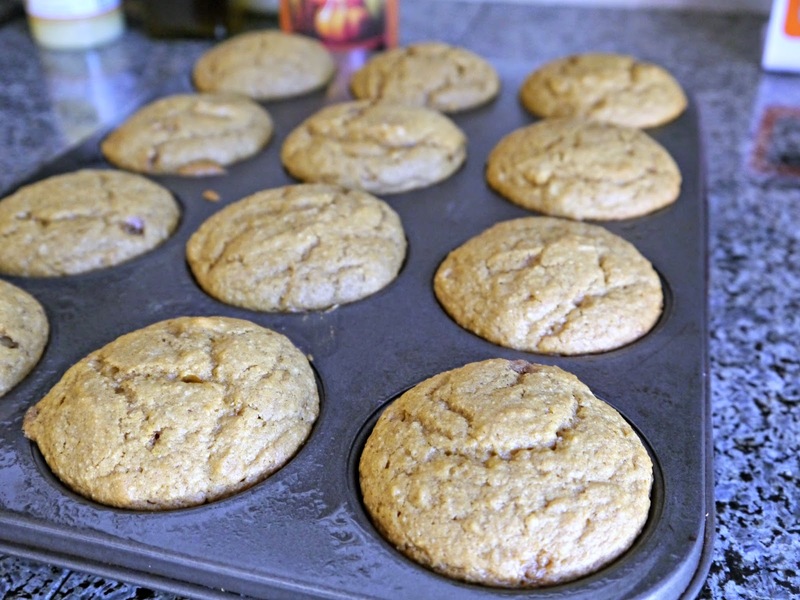 Plus, muffins seem to be the perfect serving size, and more importantly, they're done in 1/3 the time! This pumpkin bread contains no eggs or dairy and can easily be made gluten-free by substituting your favorite gluten-free flour mix for the all-purpose flour. Trader Joe's is awesome. 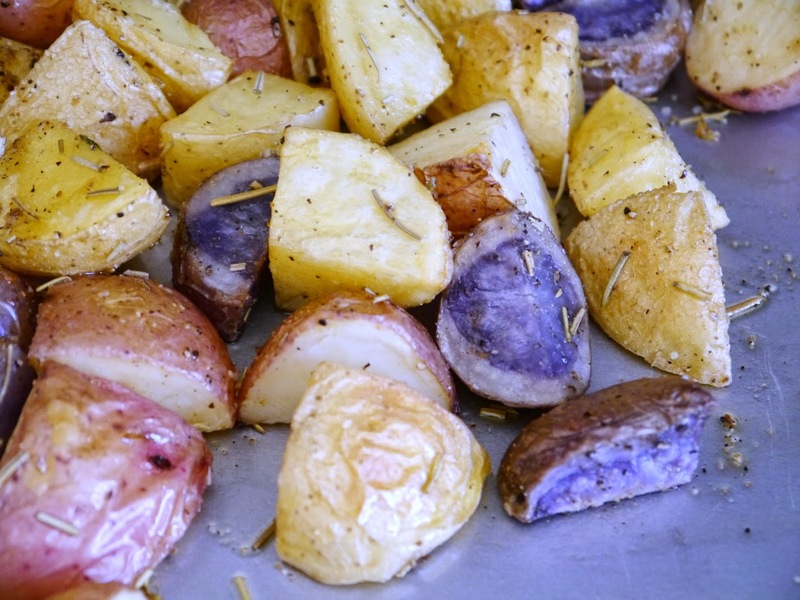 I love all of their conveniently packaged produce, one of which I commonly buy is their multi-colored potatoes. Multi-colors mean more micronutrients, which is a win-win for everyone. This recipe is a common dinner side served at our house.